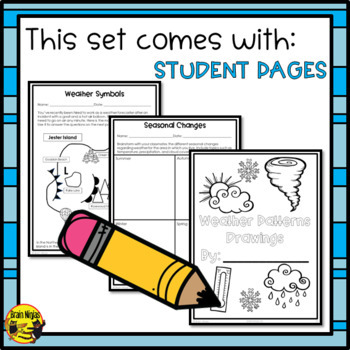 Teach your students about weather patterns and climate with these mini-lessons and activities as part of our weather series. 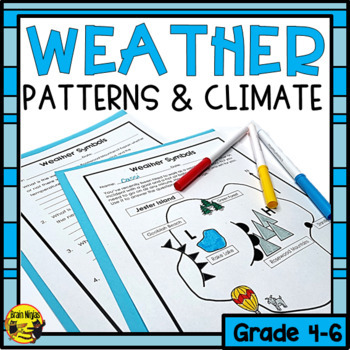 Topics covered include climate change, seasonal changes, how air moves, low and high pressure and how basic weather patterns are created. 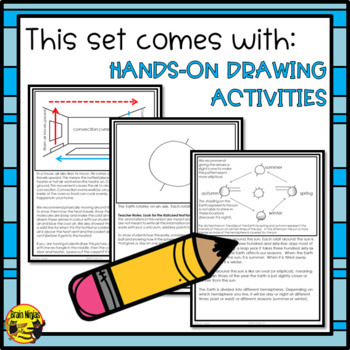 Readers' Theatre, drawing, writing, reading, comprehension questions and diagramming are all included activities. 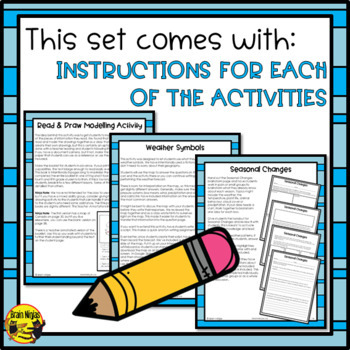 Answer keys are included for appropriate pages and suggested answers or examples are included for those activities that require differentiated thinking. Please review the preview as it contains a Table of Contents to see all the activities. This product has been classroom tested with several groups of different fifth grade students. They really enjoyed the Readers' Theatre activity. This product was designed to align with the Grade 5 Weather Watch unit for the Alberta Program of Studies. You might be interested in some of our other science products.